Breakfast: One thing I enjoy about working from home is being able to schedule my time and do what I like to do. I have a big project with a deadline looming. But today I am going to get my hair and makeup done to take photos to use on a poster, advertising a concert I will be singing in later in December. 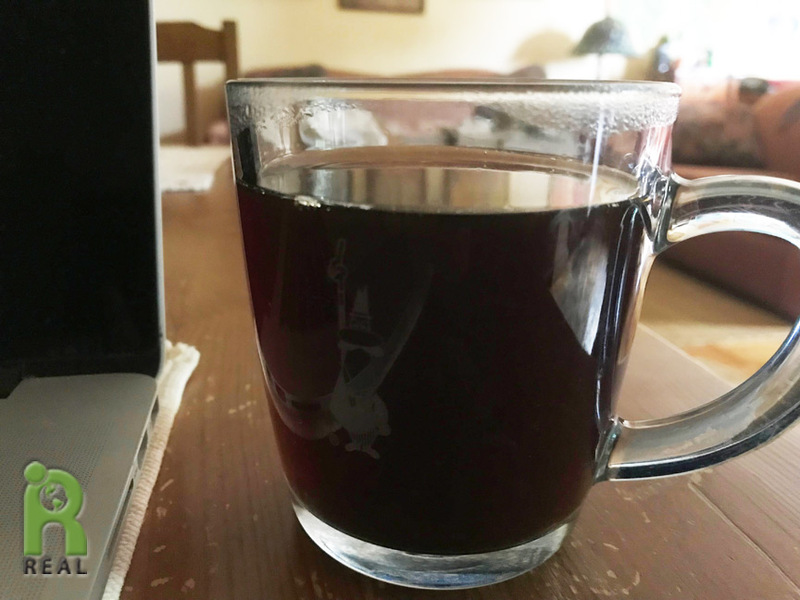 I made some vanilla tea before heading out for my appointment. Lunch: Gary had everything set up for our photo shoot. He also had lunch for me and I was hungry. 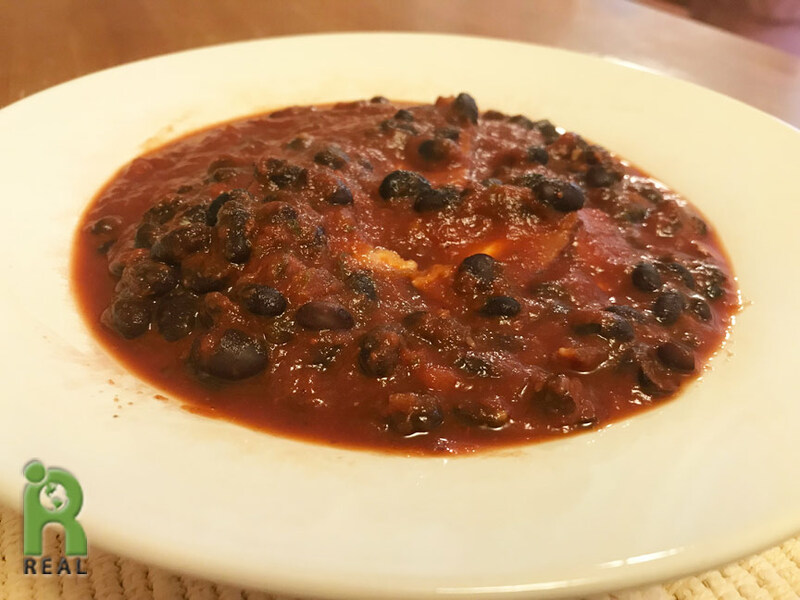 We had a quick stew made with cooked Black Beans and Marinara plus Purple Sweet Potatoes. Turns out, we didn’t really like the makeup job so I started over and did it myself. Taking photos was fun and we got a bunch of good ones to choose from. 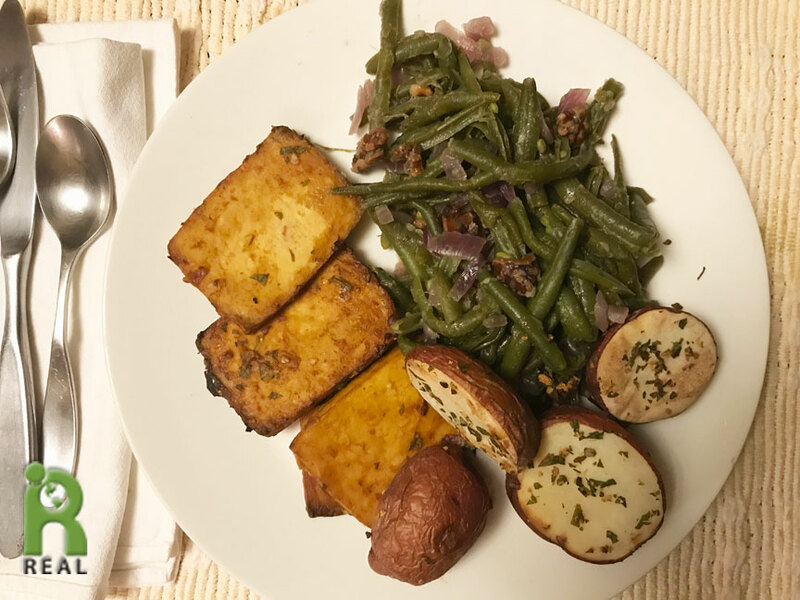 Dinner: We had a “steak and potatoes” kind of dinner with Baked Tofu Steaks, Green Beans with Walnuts and Red Onions and Herbed Potatoes.